Hey guys! So I have been contacted by the well known website SammyDress.com & We have decided to work together to help you start your nail art kit which are all available in the category "Nails & Tools"
1. Dotting Tools - Dotting tools can seriously come in handy for multiple reasons. I know there's a lot of "DIY" things for a dotting tool & I tried a lot of them when I first started out but, they're quick fixes & I seriously prefer having an actual dotting tool when I comes down to it. Also you can buy packs of 5 which come with multiple sized heads to create variety of different sized dots. 2. Nail Art Brush Set - A nail art brush set is good for those who really kind of want to try a bit of everything. The brush set I'll be sharing with you today comes with 15 pieces & there's a brush for everything. 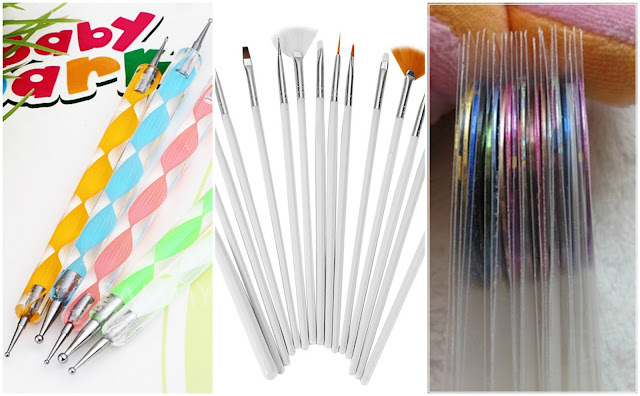 There's a dotting tool, wide flat top brushes which are great for one stroke nail art, fan brushes which can be used for gradients or cleaning up glittery bits around the nail, there's fine tiny detail brushes & there's also long striper brushes. This set alone will help you out tremendously. The brush set is listed as "15Pcs Nail Art Design Painting Tool Drawing Pen Wood Handle Brush Set Kit Nail DIY Accessory" on the website & is available for $4.86, which is a fantastic price plus they come in your choice of white or pink! 3. Striping Tape - Doesn't everyone love straight clean lines when it comes to nail art? If you're one of the many people who loves stripes & such this should be a fantastic match for you! 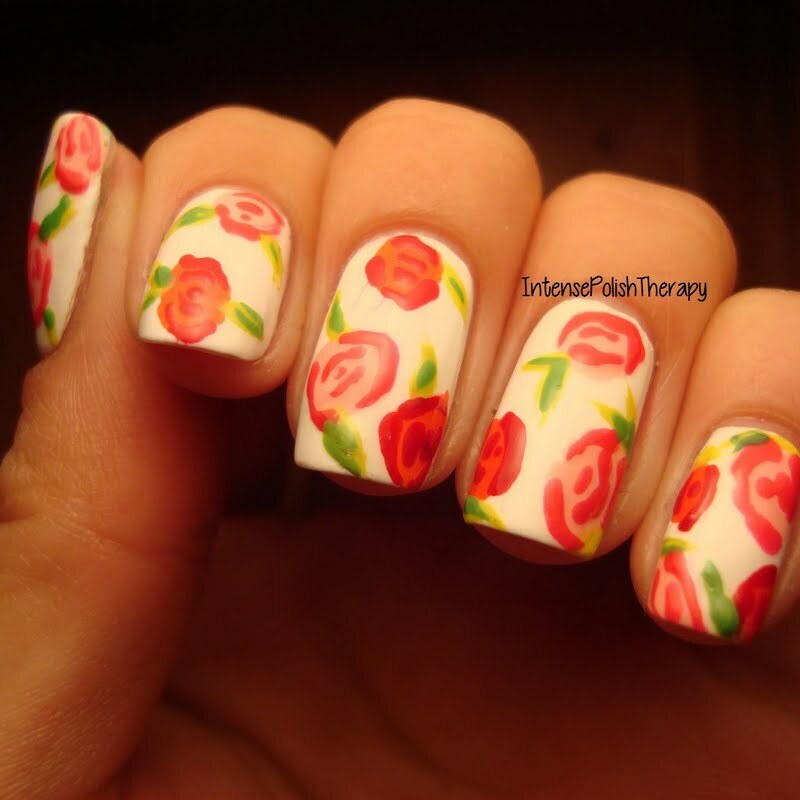 One of the best parts about striping tape is you can create a design with the nail & leave the it on your nail or you can apply the tape to dry polish, paint over the current nail polish colour with a opaque different colour, pull the tape off immediately & be left with wicked design. There's lots of different ways you could use it. One of my personal favourites is for french tips, I just place the tape where I want it, paint on the one side, & peel it off. The striping tape is listed as "One Piece Hot Sell Gold and Silver Line (22 Kinds of Color)" & is available for $3.97. 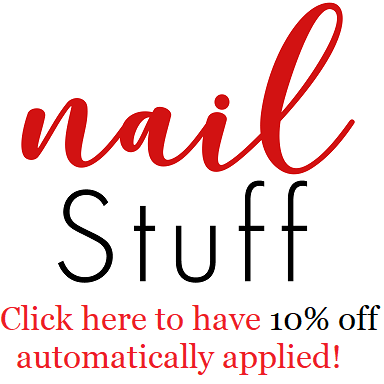 Of course you really don't need all of these because there is a lot more different nail art products their website offers, so I would recommend checking out their other products as well. Their website also has a lot more than just nail related products. They have clothing, jewelry, hair products & much, much more.